When we make an inference we need to consider ALL comprehension strategies. Sometimes the clues are literal (obvious) but sometimes they are inferential (hidden). 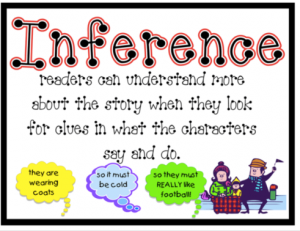 Here are some videos that will help you to understand more about making inferences.